To inform their concept development for the A38 roundabout commission, Redhawk Logistica and Luke Perry spent time based at Austin Sports & Social Club, exploring Longbridge’s rich heritage and getting to know residents. Luke Perry held a workshop at the Club where over 50 local residents, many of whom worked at Longbridge car factory, were involved in a process of storytelling and sharing their memories with the artist. Perry held a similar workshop at the Pride of Longbridge event in Cofton Park, where he photographed visitors at the event asking them to write down what Longbridge means to them and what makes Longbridge a source of pride. The resulting photographs are both funny and moving. They also show the important role Longbridge played, and still plays, in people's lives. People wrote things such as: “You were an assembler, a small part in a large machine”, “As a boy I slept to the sound of the hammers”, “You have to understand the enormity of the place” and “Often in the history of Longbridge it is the workforce that gets neglected and forgotten”. The artist found the workshops illuminating and inspiring. Perry said "for all of the strange and confused political history of the site, it is the ordinary working people that are remembered with most strength and fondness." 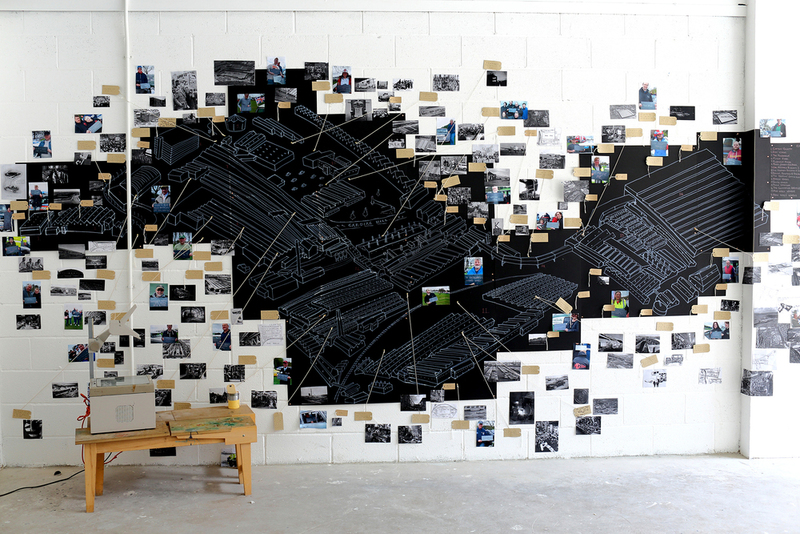 The workshops and stories gathered have informed the artist's work and as a direct result created the 'Memory Map' which was exhibited in the LPAP | SPACE.